Established quality artist who was born in Blackburn and initially studied at the Blackburn College of Art. Leaving college worked for JCB as a technical illustrator and as a sideline started painting the cars of Anthony Banford. In 1968 he left JCB to become his career as a full-time professional artist. The work has included rural, landscapes and marine paintings but the foremost interest has been mechanical transport. 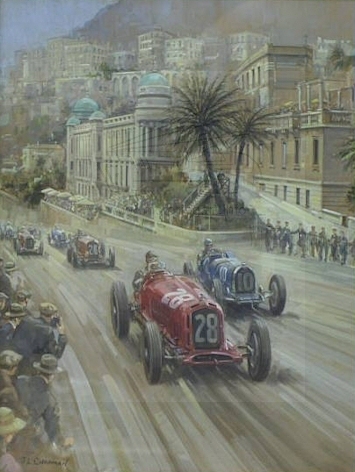 He has painted many car studies including road and grand prix scenes. For further details see the artist's website.